With warmer weather this week, things got back on track and we have been busy. Monday was the last day in District before heading back over to Springfield. The Champaign County Chamber of Commerce hosted a forum for area legislators, businesses, and non-profits to talk about their concerns over the Governor’s proposal for a $15/hour minimum wage. In fact, SB1 passed through the Senate chamber this week 39-18-0. I have gathered some information on the bill, had talks with my colleagues, and I am currently reviewing all the details. It is apparent that this effort is the number one priority for the Governor, because this is essential to his next plan: a Constitutional Amendment to implement a progressive income tax. Unfortunately, some Illinois politicians are continuing to add more regulation on small businesses by pushing for a large increase in the minimum wage. Senate Bill 1 would incrementally increase Illinois’ minimum wage to $15 an hour by 2025, which is an 82% increase in labor costs. Businesses have a limited ability to raise prices to make up for the cost of a higher minimum wage. Two-thirds of Illinois’ population lives within a 40-minute drive of the state border. With higher gas, liquor, tobacco and sales taxes, this will create yet another reason for these people to shop across the border. It was insightful and productive listening to the concerns of Champaign County business owners and non-profits during the Chamber meeting. 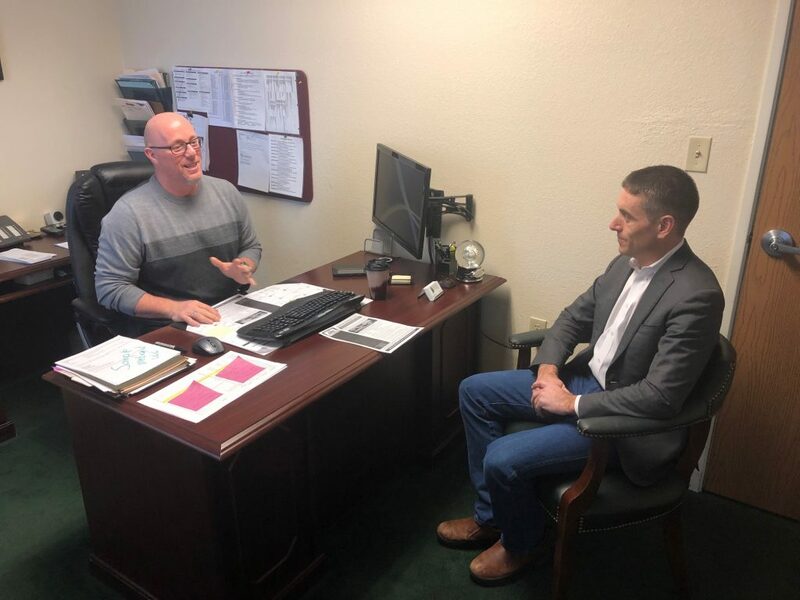 The members we talked to stressed concerns over being able to meet the new wage structure and maintain viability, the unintended increase in automation, job losses, and an increased property tax burden for units of local government. The concerns of area employers are real, and those concerns will be at the front of my mind as this legislation emerges in the House. Certainly, we all would like to see workers make higher wages, but that should happen through a vibrant, strong economy. We need to ensure that any action we take does not cause more businesses to flee the state. This is a real fear especially in the 104TH district, where we already have to compete with the State of Indiana, just a few miles down the road. If you have any thoughts on this issue or others that come up, I encourage you to reach out to me on my website http://repmarron.com and head to www.ilga.gov to search for SB1 to file a witness slip (my.ilga.gov)in favor or against the issue. Most of the work this week in Springfield has been confined to our committees which are meeting for the first time. I am excited about my committee assignments which include, Energy and Environment, Human Services, Economic Opportunity and Equity, Counties and Townships, and Higher Education. These committees should be challenging but they also will present some good opportunities for enacting legislation that will positively impact the 104th District. I want to thank Leader Durkin for my committee assignments this year, and I am excited to get to work! We moved our first piece of legislation through the Human Services committee this week. House Bill 163, sponsored by Rep. Katie Stuart (D-Collinsville), is a common sense measure that requires information on the prescription of controlled substances to be reported to the prescription monitoring program by the end of each day. This is a slight change to help combat the serious opioid crisis that is afflicting our communities. The bill will provide more timely information to cut down on the ability of users to acquire multiple prescriptions. This bill received strong support and will hopefully be a good step in confronting a very serious issue. I signed on to two additional pieces of legislation this week. The first bill is an initiative from Rep. Steve Reick (R-Woodstock) creating a non-partisan Commission on Fiscal Responsibility and Reform. The Commission would conduct a private sector survey on cost controls in State Government and make recommendations to the Governor on how to reduce costs, create efficiency, eliminate waste, and save the taxpayers of the State money. The board membership would be picked by each of the four legislative leaders. 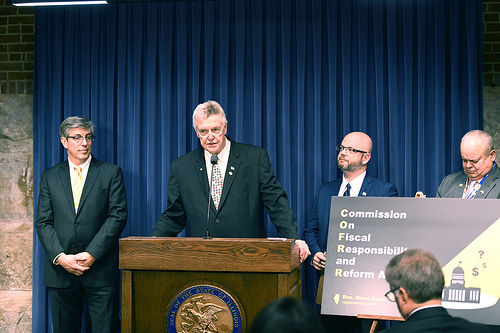 This is a good effort to investigate where we can implement needed reforms to fix our state’s financial issues and bring transparency to the taxpayers of the state. I spent a great deal of time traveling meeting with elected officials back in December and January. One pressing infrastructure issue in many communities is the condition of water/waste water systems. Many of these towns either need to modernize or construct entirely new systems that cost an exorbitant amount of money. Water/waste water is something we sometimes take for granted until the faucet doesn’t come on or the toilet doesn’t flush, then it turns into a crisis. This issue is extremely important to many communities I represent, is why I decided to sign on as the chief co-sponsor to Rep. Kelly Burke’s (D-Oak Lawn) bill on municipal water disposal. This bill would allow non-home rule communities the ability to apply a fee specifically to fund waste water projects. It would create a non-property tax avenue for revenue to get these needed projects done and keep our communities safe with clean water. 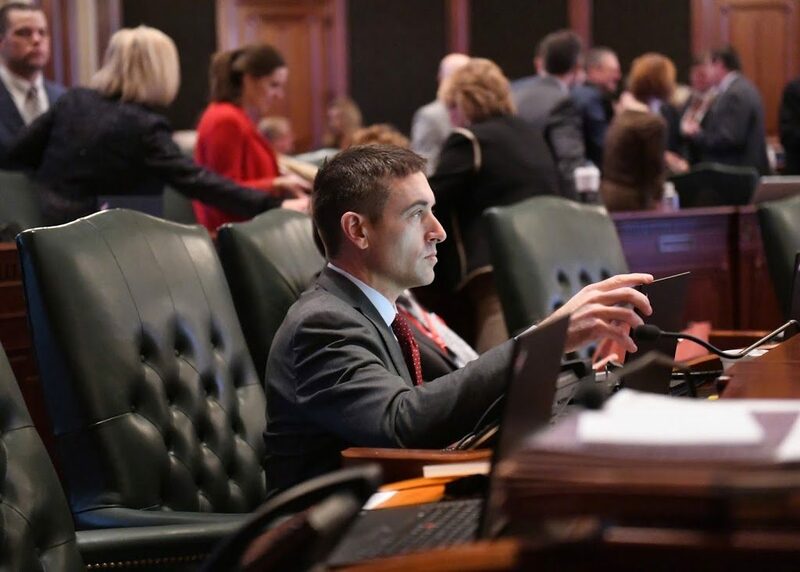 While I am very concerned about the big-ticket items that I feel will be detrimental for our State that are coming from Governor Pritzker, I am also encouraged by the steps we are taking on smaller issues that affect us close to home. I’ll continue to work with my Democratic friends across the aisle when I can, but I won’t hesitate to take a stand where I need to. Most of all, I’ll do my best to get as much information back to you as I can. This is your home and you need this information so you can hold your Representatives in Springfield accountable. When the constituent and the lawmaker work together, we make a potent force and good things are possible.